Spring break is just round the corner and if you’re looking for adventurous, upscale, and cultural hotel offerings for friends looking to cure their winter blues, check out our list of seven ultimate luxury girlfriend getaways! Whether you and the crew want to chill beach-side for a summertime glow, stroll off the beaten path, or party the night away, the Maldives, Israel, Dubrovnik, Miami, and Mexico are amazing destinations to welcome the new season. Warm, sunny weather and bucket-list activities galore, Israel is a perfect spot for a friend getaway this spring. Tel Aviv has it all, with sandy Mediterranean beaches, world-class nightlife, a buzzing cultural scene, and outstanding culinary landscape. For a change of pace, take in Jerusalem’s rich history as you stroll through the narrow stone path streets of The Old City passing by places like the Church of the Holy Sepulchre and Western Wall. For accommodations, check out the Cramim spa & wine hotel, nestled in the picturesque Jerusalem hills. Located just 40 minutes from Tel Aviv and 15 minutes from Jerusalem, it’s close enough to top attractions, but feels like a scenic respite. The hotel is surrounded by vineyards and boutique wineries and is located on a forest ridge overlooking several small villages that offer a variety of cultural and leisure options: cafés, art galleries, restaurants offering a range of local and international cuisines, and more. After exploring and adventuring, head back to the hotel’s Cramim Spa to try one of their signature Vinotherapie treatments. Set in a turquoise lagoon in the Indian Ocean, Baros Maldives offers a trove of unique water experiences for the sophisticated and active traveler – making it an incredible adventure getaway for BFFs! After the sun sets, friends armed with a powerful underwater flashlight can venture to the resort’s house reef to witness nocturnal sea creatures who’ve come out of their daytime hiding places. Furthermore, during Baros’ Glow-in-the-Dark Snorkeling experience, guests armed with special blue torches can discover a hidden world of fluorescence among the reef corals and fish. A reflected light illuminates strong yellow, green and red neon colors of the indigenous underwater life. For a sustainable and philanthropic experience, guests can aid in a coral conservation initiative by sponsoring a coral frame through Baros Maldives’ Reef Rehabilitation Program. In addition to sponsoring a frame, guests learn about the coral propagation process and are escorted in a swim to the house reef, where they collect broken coral fragments and reattach them to specially designed structures. These provide a stable substrate elevated from the sandy seafloor. The coral frames not only give artificial reef-structure corals a chance to grow, but also creates new homes for various marine animals. Additionally, the Baros Maldives marine biologists will keep you and the crew up-to- date by e-mail every six months about the growth of the corals as they develop on the table. 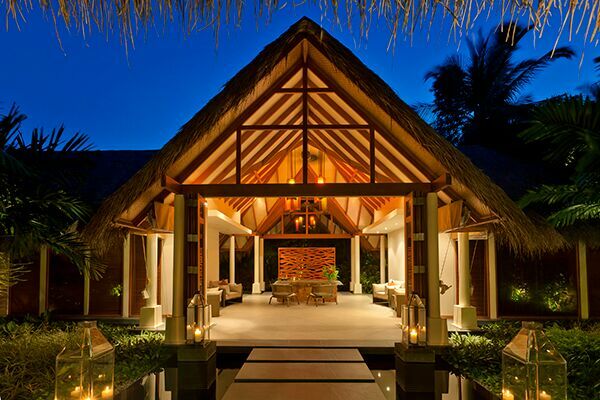 A member of the Small Luxury Hotels of the World, Baros Maldives is an adults-only tropical idyll that features 75 secluded villas, both over water and by the beach; dedicated 24-hour island hosts; three gourmet restaurants; two bars, and a thriving house reef. The year marks NIZUC Resort & Spa’s fifth year of being open, making it an opportune time to book a friend getaway and stay at the luxurious 29-acre exclusive beachfront escape. From sunning at one of the multiple pools (Adults Only and Family Friendly) to indulging at one of the six world-class restaurants, or simply rejuvenating at the 30,000 square foot ESPA facility, NIZUC Resort has something for everyone in the group. For the more active friend, paddleboards and kayaks await on the beach, while two on-site tennis courts and the nearby TPC Cancun are ready to test their skills. For those looking to explore, NIZUC boasts two secluded white sand beaches and is surrounded by the region’s natural wonders, archeological sites and amazing attractions including the world’s first Underwater Art Museum ($500/night). 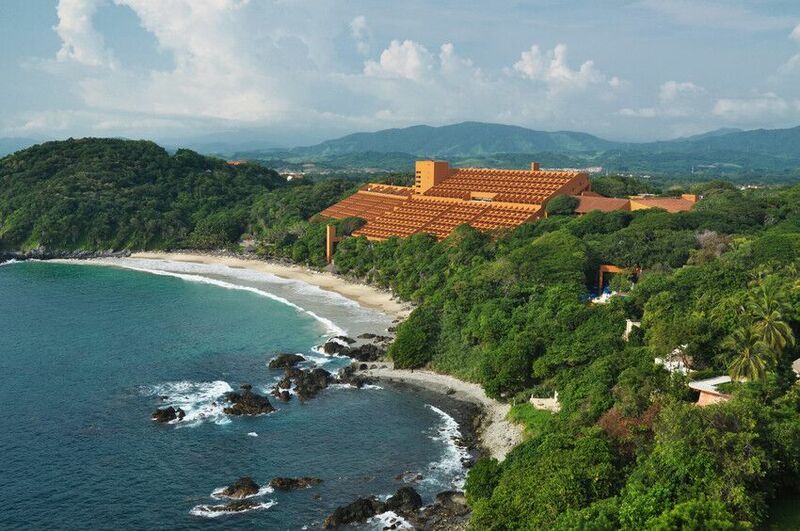 Las Brisas Ixtapa is nestled into a mountainside overlooking one of the most beautiful beaches in the Mexican Pacific Riviera. This visibly lush resort offers an interactive nature walk that’s perfect for friends looking to experience adventure and culture on vacation. The tour kicks off with a “mocktail” made from the tetechas flower, which is locally grown on Mexican cacti. From there, professional nature guides will walk the group through the surrounding jungle around the hotel, offering fun lessons on the vegetation, flora and fauna of the surrounding natural environment. Tropical vegetation is also abundant throughout the resort’s 416 guest rooms, six restaurants, and four outdoor swimming pools ($142/night). Carved into a cliff-side in the heart of Dubrovnik and overlooking the Adriatic Sea, Hotel Bellevue paints the picture of the most exquisite place in the world. Serving as a true oasis of tranquility, this seaside hotel is now offering a refreshing take on a friend getaway with the Spring Suite Dreams Package. 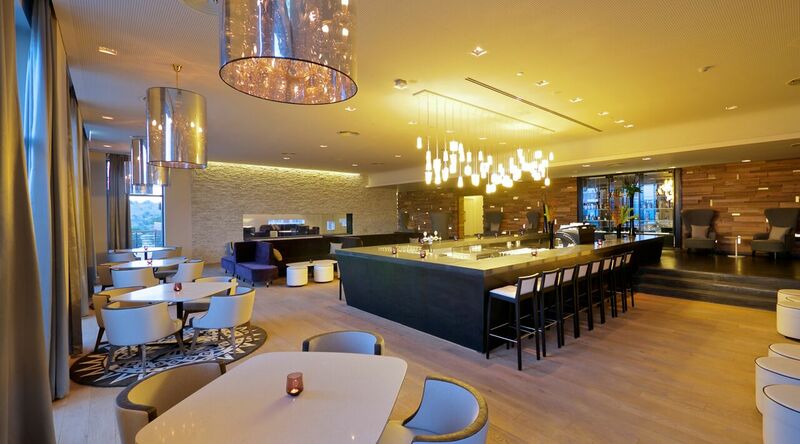 Discerning travelers can immerse themselves into Hotel Bellevue’s world of discrete luxury by enjoying sights and sounds of the Dalmatian coast, embracing tastes and scents of Mediterranean cuisine, and relaxing together under the gentle touch of their personal spa specialist. The hotel offers 91 luxurious sea-view rooms and suites (most rooms having balconies), three contemporary restaurants and bars, a spa and wellness center, and spectacular views of the Adriatic. The Confidante Miami Beach, a playful beach house-inspired resort located directly on Miami Beach, offers the perfect springtime retreat for traveling pals. The Beach, Bubbly and Bungalow Package includes a $100 food and beverage credit, chilled bottle of Champagne upon arrival, a private poolside cabana and more all at a savings of up to 40% off when bundled together. 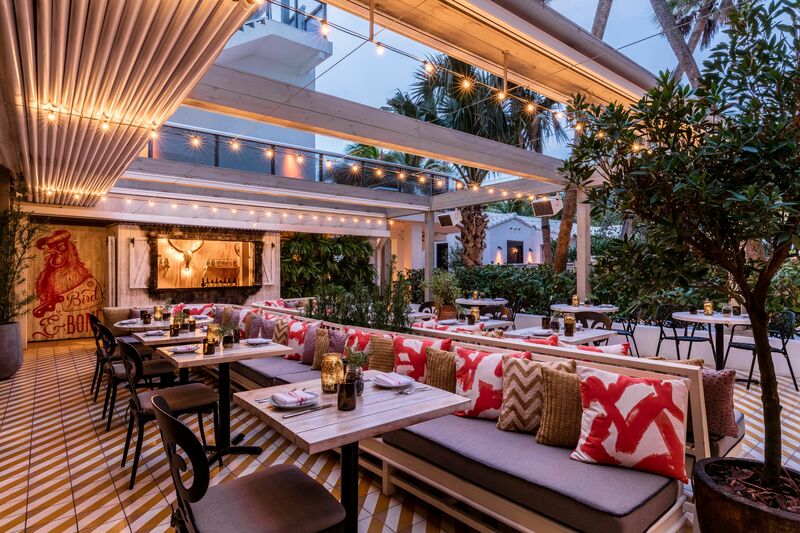 The resort credit can be used at the Southern-inspired Bird & Bone restaurant led by renowned Miami chef Richard Hales or in The Backyard, which serves up a menu of casual cuisine and specialty cocktails in the gardens, poolside or on the beach. Taking friend getaways to the next level, The Confidante includes complimentary “Vino on Demand” courtesy of new Plum Wine machines in its Penthouse and Miranda suites through April 30, 2018. Inspired by automatic espresso makers, Plum Wine gives guests a delicious glass of wine at the touch of a button without ever having to leave their room. Plum Wine offers a virtual tasting by displaying tasting notes and thoughts from the wine maker and automatically chills the wine to the perfect serving temperature. The Confidante’s vibe is warm, welcoming and unpretentious, providing guests with everything they need for an uncomplicated and timeless Miami Beach experience. Every aspect of the mid-century modern beachfront resort draws inspiration from a friend’s beach house, which is akin to the meaning behind the name, The Confidante: a best friend, trusted insider. 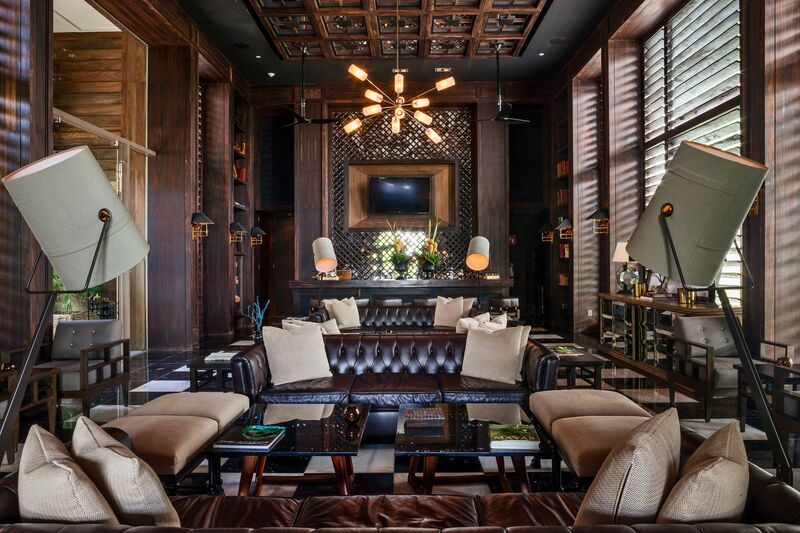 Nestled in the heart of Miami Beach’s buzzing mid-beach neighborhood, The Confidante is walking distance to some of the area’s best museums, theaters, boutiques, bars, and restaurants. Rates start at $249 per night in a standard room and $769 in the Carmen Miranda and Penthouse Suites. A 2-night minimum stay is required for the Beach, Bubbly and Bungalow Package. For more information on The Beach, Bubbly and Bungalow Package and to reserve, please call 305-424-1234 or visit www.theconfidantehotel.com. Hidden among 40 acres of lush hibiscus gardens on a hillside high above the famous Acapulco Bay, Las Brisas Acapulco has long been a landmark destination in its own right. The charming bungalow-style rooms, nicknamed “casitas,” welcome guests with plush pink furniture, understated beachy décor, and pink jeeps to whisk you away to resort facilities or the chic & private waterfront La Concha Beach Club. 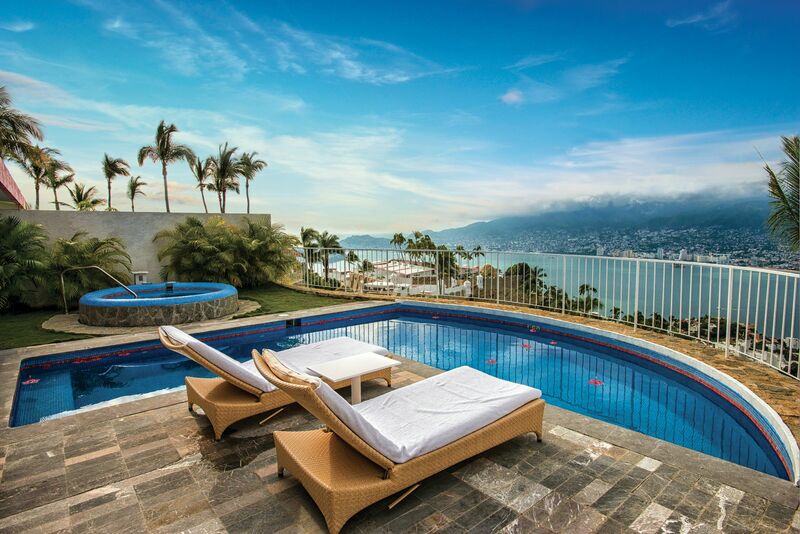 Perfectly suited for a friend getaway, the ‘Brisas Beach Club Pool Casita’ package includes a private swimming pool, a spacious balcony overlooking Acapulco Bay, and a personalized facial treatment at the new boutique spa for ($197/night).